Almost all businesses require some form of financing. Regardless of what stage you are in – whether you’re just getting started or are a seasoned business owner – with a good business plan and experience as well as personal or business equity and collateral, there are resources available that may be able to help with financing your business. Select from the topics below to learn more about the financial resources available for your business. Seeking a small business loan? The City of Charlotte offers Small Business Loan programs, administering financial assistance and helping starting businesses get off the ground and existing businesses improve their performance. Contact the City of Charlotte to learn more! Business Investment Grant (BIG): BIG identifies Investment Zones within the communities to help small businesses with creation, retention and expansion. Small Business Mobilization Loan: The Small Business Mobilization Loan is designed to assisted owners of certified Small Business Enterprises (SBEs) acquire short-term, low-rate financing. Charlotte Community Capital Fund: The Charlotte Community Capital is an innovative public/private fund established to help small businesses like you gain access to capital! With more than 30 years of lending experience, Self-Help Credit Union will work with your business or nonprofit to make the loan process as smooth and easy as possible.Learn more about Self-Help and how to qualify for theirSmall Business Loans, get an application, or call 1-800-966-7353, ext. 5. Additionally, the Self-Help Credit Union offers savings and money market accounts that allow entrepreneurs to park their reserves in a socially-responsible money market. Learn more about how you can earn dividends while you save with Self-Help! With over 20 years of SBA 504 lending experience, Self-Help Ventures Fund is dedicated to making your SBA process as smooth and efficient as possible. The SBA 504 loan program provides up to 90% financing and a low fixed rate for owner-occupied commercial real estate. Learn more about Self-Help’s SBA 504 loan program here. SBA Loan Programs: The U.S. Small Business Administration (SBA) assists small business owners with starting and expanding their businesses by helping them get loans through private banks and financial institutions. The SBA offers a number of low-interest loan programs for business owners who may be having difficulty getting traditional bank loans. Learn more about SBA loan programs! Small Business Innovation Research Program (SBIR): If you’re seeking to commercialize innovative biomedical technologies, SBIR is a program that helps entrepreneurs participate in federal research, develop life-saving technologies and create jobs. Learn more about SBIR. Check out SBIR.gov! Small Business Technology Transfer Program (STTR): Like SBIR, STTR is another highly competitive program for entrepreneurs seeking to commercialize innovative technologies; one of the major differences between the two is the fact that STTR requires that small businesses formally collaborate with a research institution. Learn more about the SBA and STTR! Environmental Grants, Loans and Incentives: The SBA makes it easier to find money to pay for energy efficient upgrades to your facilities, environment-related projects and improvements, and financial incentives that can save you money, such as tax credits, tax deductions, sales tax exemptions, property tax exemptions and rebates. Learn more about how the SBA can help you find the financing you need to go green! SBA LenderMatch: LenderMatch is an online referral tool to link small business borrowers with participating SBA Lenders. Prospective borrowers complete a short online questionnaire, and the responses to that questionnaire are then forwarded to participating SBA Lenders that operate within the small business’ county. If lenders are interested in the referral, the lender and the prospective borrower’s contact information will be exchanged. Learn more about how the LenderMatch program can link you to financing! The NC IDEA Grant provides small grants to high-tech startup companies to support business activities that validate potential markets, reduce risk of early failure, and advance projects to the point of self-sustainability at which time they are suitable for private equity investment. Technology based businesses with the potential to become high-growth companies are eligible to apply for funding. NC IDEA defines a high growth company as a fast growing startup with a significant market size that will consider equity financing as part of their growth strategy. NC IDEA makes grant solicitations twice per year. Providing seed and early stage equity funding, along with company building expertise to IT, software, materials technologies and medical device companies. We seek to serve as a bridge between angel and institutional investors. Inception Micro Angel Fund (IMAF-Charlotte) is a local angel fund that considers investments of dollars, time and relationships in early stage, high quality and high growth companies in the Charlotte area in order that those companies achieve success. The Charlotte Mecklenburg Library offers resources that will help you learn the fundamentals of grant seeking and grant making. Click here to access these resources and more. Need a grant? The City of Charlotte can help with that! Their specialized grant programs are designed to help business owners with the costs of undertakings such as storefront renovations and environmental cleanup. For instance, the Business Investment Program (BIP) provides grants to companies based on the amount of property tax generated by private business investments. Additionally, Business Matching Grants are available to provide innovative tools for small businesses, property owners, and developers. In a nutshell, if you are seeking “free money” to launch or expand your business, you are far better off focusing your efforts on developing a sound business plan that capitalizes on a viable market, a compelling product or service, and a passion for business. Search for Federal Grants via Grants.gov. Grants.gov is the federal government’s searchable public database of over 1,000 grant programs that award roughly $500 billion annually. Use the Advanced Search tool to search for a grant by eligibility (e.g., for-profits or small business), by issuing agency, or category (e.g., environment or science and technology). Learn about programs offered by the City of Charlotte. 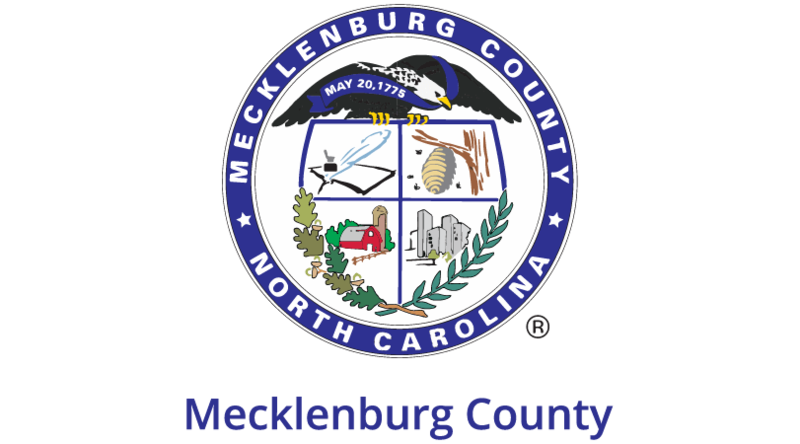 The City of Charlotte has specialized grant programs available in targeted areas to help property and business owners with the costs of undertaking capital improvements such as storefront renovations and environmental cleanup. Learn about local nonprofit resources. If your business is a nonprofit you should explore local resources that can help with things like grant writing, budgeting, fundraising and more. Do Your Homework. Do your homework before paying someone to help you find a government grant. Be sure to thoroughly research all offers you are considering before making an investment of time and money. There are lots of websites that can help you become better informed, such as the Better Business Bureau, the Federal Trade Commission and fraudguides.com. 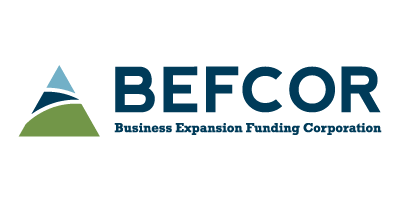 The SBTDC has created an online training module that describes potential funding options, including family and friends, angel investors, loans, specialized grants, and local sources. In this module, you’ll learn about the types of things each funding source looks for when financing individuals and businesses. Access the online training module!